Hello and welcome to The Collector’s Edition! What is The Collector’s Edition you might ask? Well I’m intending this to be a semi regular feature looking at the ever shrinking market of boxed copies and collector’s editions of retail games. I intend on covering a wide range of stories from the world of physical copies from new to old. 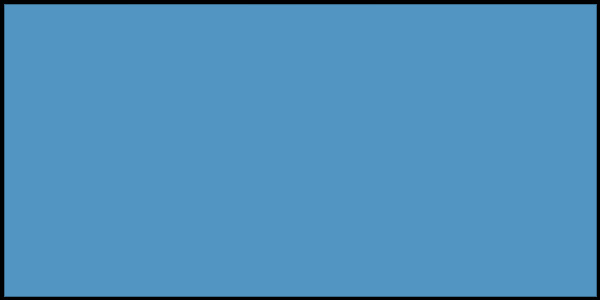 So let’s start the inaugural edition out with some news on one of my favorite titles from last year, Shovel Knight. The plucky 2D platfomer is getting a retail release this fall across a variety of systems. Unfortunately the one console that won’t be getting it is the Xbox One. Due to a nebulous reason that developer Yacht Club Games hasn’t disclosed why the Xbox One version has been put on indefinite hold. In an e-mail sent to backers as well as media, Yacht Club only stated it was due to, “publishing policies on that platform.” The removal of a physical version doesn’t affect the digital version of Shovel Knight which is still available with Yacht Club Games promising to continue its support and updates. The good news is Shovel Knight will still be released on PlayStation 4, Wii U, and 3DS. Ultimately it’s a loss for Microsoft at a time when Xbox head Phil Spenser was quoted as wanting to win back consumer confidence, “I’ll say we’re not motivated by beating Sony, we’re motivated by gaining as many customers as we can.” While Microsoft is doing a far better job with the Xbox One, excluding one of the biggest retro gaming success stories of the last few years via “publishing policies” doesn’t strike me as being friendly to a committed indie developer or the fan base. There was some more positive news to come out of Yacht Club though as the developer is thinking about a physical release for the PlayStation Vita too. I know, I know, it’s a slim chance, but I really want a copy so don’t dash my hopes. Speaking of Sony’s under appreciated handheld, anyone who’s looked at the retail section of Vita games should be able to tell that the system isn’t doing so hot. With lackluster showings at both E3 and the recent Paris Games Week along with Sony’s European head Jim Ryan stating there were no “Triple A” games in development it shouldn’t take a crystal ball to see the future of Sony’s second generation portable. Despite the fact Ryan walked back those comments saying, “there is still first party Vita content being worked upon.” the Vita’s life cycle is ending sooner rather than later and it makes it all the more bitter sweet that when a game releases for it. 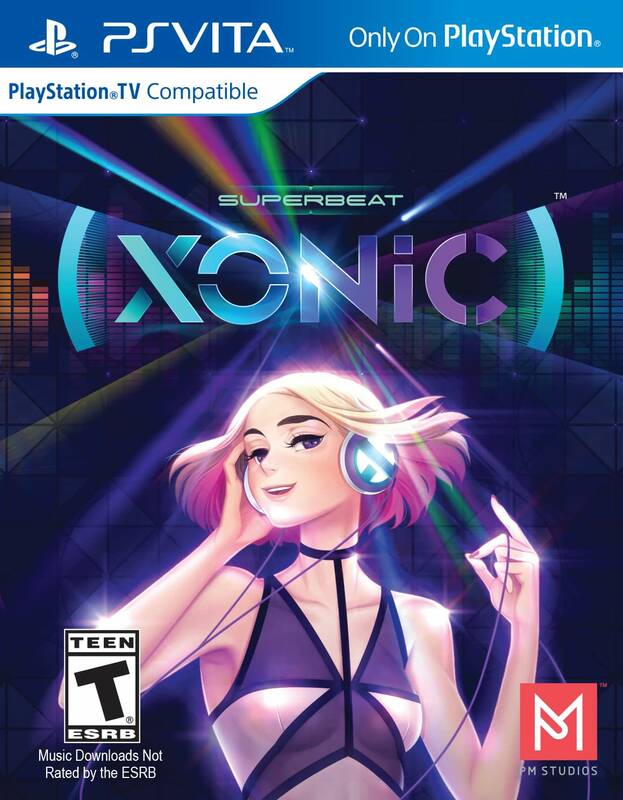 That includes Superbeat Xonic. From a small group of developers, PM Studios, they’re moving to the beat with a wide range of original music and genres to accompany the game. While it’s looking like Superbeat could be one of the last retail PlayStation Vita games the title is getting a ritzy three pronged release. 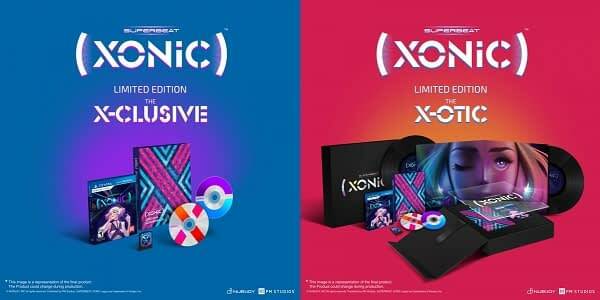 Regular retail will get a vanilla regular edition, while PM’s website has a $50 limited edition with a 2 CD soundtracks, and a super limited $100 edition with a collectible box, 2 CD soundtrack, and 2 disk vinyl collection. The game looks cool with an interesting soundtrack, I’ve already pre-ordered my limited edition from their website and you can too before its November 10th release date. With the ever expanding list of re-masters coming to the current generation of consoles, it’s always nice to see when a publisher puts a little extra effort into them. Case in point NIS America and their re-master of The Witch and The Hundred Knight. An isometric combat game in a similar style as Diablo with a decidedly anime twist, it came out late in the summer of 2014 exclusively to PlayStation 3. It didn’t set the world on fire, scoring in the mid-fifties on Metacritic, with the writing and look holding up a bulk of the praise. Well, word got out that it was getting a PlayStation 4 version and NIS had the decency to give fans a substantial special edition for a fair price. The Limited Edition of the game comes with a two disk soundtrack, hardcover art book, a figure, and a collector’s box for $49.99. I wouldn’t necessarily go out of my way to get this, but releasing at a lower than usual price with a bunch of extras seems like a good deal if you’re interested. 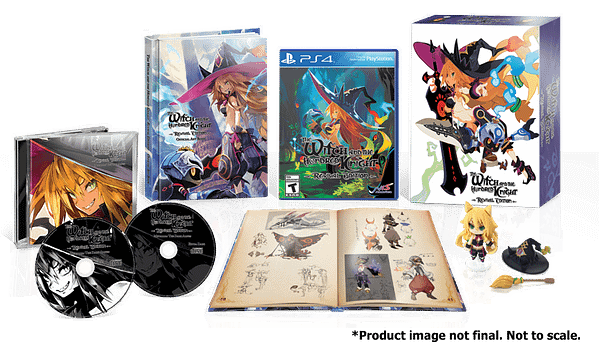 The vanilla version retails for $39.99 and both versions can be ordered from NIS America’s website. The great Amiibo chase of 2015 continues as Nintendo recently released their latest wave of figures, including Zero Suit Samus, Captain Olimar, Gannondorf, and Retro Mario and unlike previous waves I’ve actually seen them in stores. Yes, it seems Nintendo have finally figured out supply and demand with their uber-popular inaction figures. I’ve been in multiple retailers that had three out of the four figures plus figures from previous waves. Early this year I decried Nintendo for leaving fans high and dry, with late night line ups and paying astronomical prices the only option to find rare figures. But with the reappearance of figures like Dark Pit, Little Mac, Shulk, and Lucario, Nintendo is slowly, (and I really emphasis slowly) making good with fans who want nothing more than to give them money for figures of their Nintendo favorites. I’m pleased that fans can actually get them and it even seems like the quality of the toys has gotten better. So good on you Nintendo. You’re not out of the woods yet though, let’s see how you do over the holidays. That’s it for this first edition folks, thanks for checking it out! Look for my regular column, Sweet Release! where I run down the new releases every week. Jared Cornelius is some guy from the Jersey coast who’s trying new things out. Tell him about your new thing on Twitter @John_Laryngitis.